Oni on Shelagh Rogers' Sounds Like Canada, originally uploaded by johnwmacdonald. Canadian radio icon, Shelagh Rogers is in Ottawa this week. 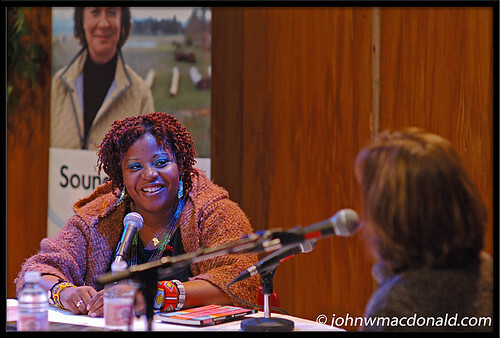 She hosted her radio show Sounds Like Canada in the CBC studio 30 November 2007. Here, she is interviewing Ottawa's Oni The Haitian Sensation.